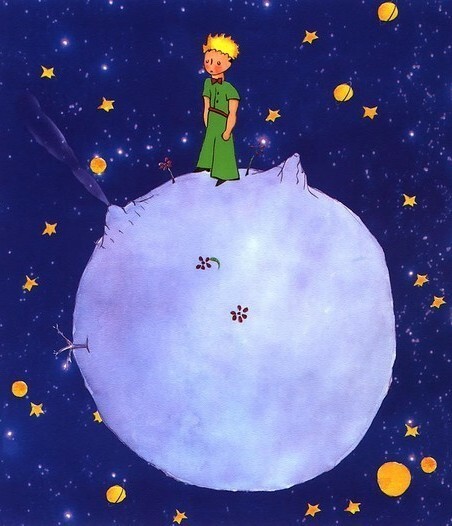 Much-loved children’s classic The Little Prince by Antoine De Saint-Exupéry is set to become a film. Originally published more than sixty-five years ago, The Little Prince tells the story of a pilot who meets a little prince after a plane crash in a desert. The prince describes his journey from planet to planet in a search for what is most important in life. It’s a magical story and done right, will be stunning on the big screen. Details of The Little Prince movie project are largely being kept under wraps but we can share a few bits – the movie will be animated and cast members include James Franco, Rachel McAdams, Jeff Bridges, Benicio Del Toro, Mackenzie Foy and Paul Giamatti. Oscar-award winning Bridges is set to be the voice of the pilot and Cotillard will portray the Rose although there is no hint at who will be the voice of the all-important Prince (my tip is Mackenzie Foy). The Little Prince will be directed by Mark Osborne, whose previous credits include Kung Fu Panda and Spongebob Squarepants. It’s not the first time The Little Prince has been made into a movie. Director Stanley Donen made a musical version in 1974 – needless to say new generations of children have enjoyed the story since then. For those of you that must read the book before they see the film, find The Little Prince at Book Depository. Also available is a stunning pop-up version that we reviewed previously on Babyology. Book Depository delivers free to Australia.